State Testing for English Language Arts will begin Monday March 11th. 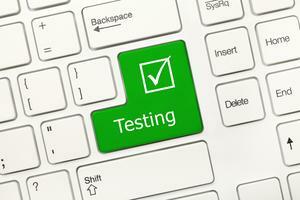 Testing is scheduled to be completed by March 13th. Re-take times will be scheduled as needed. Students who are not testing during the testing block will have the opportunity for guided academic practice in the commons. 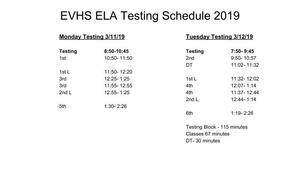 Students will be informed of their testing locations this week. 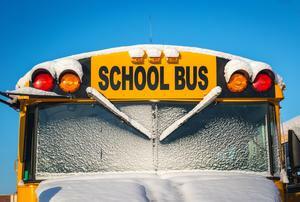 Buses will be running for all students at regular times. See letter below for more information. This Spring, your child will take the Smarter Balanced (SBA) English Language Arts and/or Math Assessment as required for graduation. 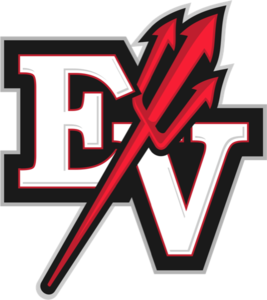 Click read more for more information about SBA testing at EVHS.